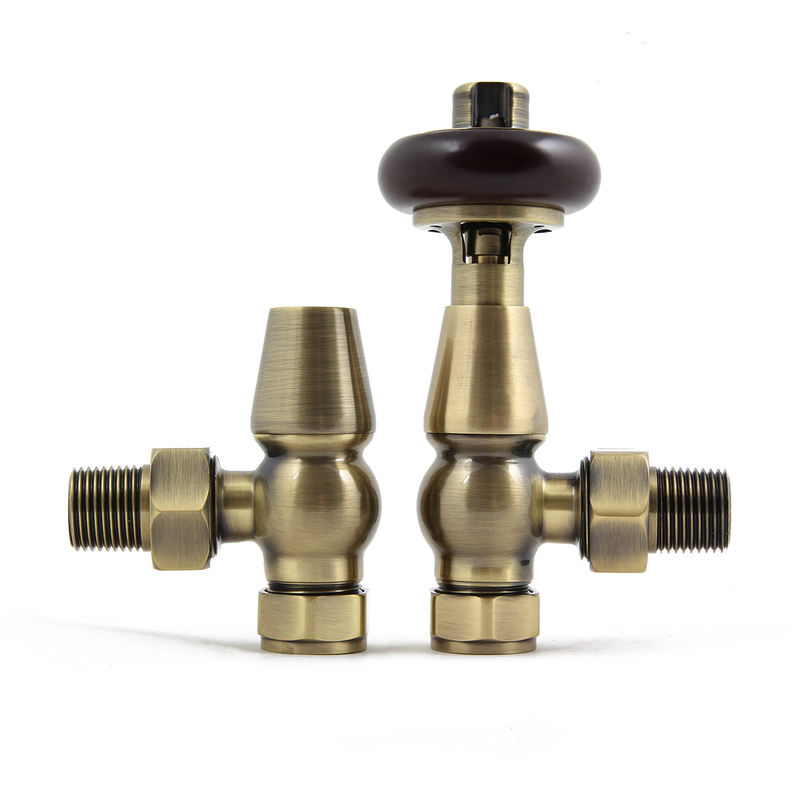 Thermostatic radiator valve and lockshield pair in antique brass. 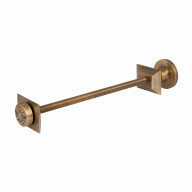 Hardwood handle, manufactured to EN215. Five year guarantee. Our favourite style of radiator valve. Stylish and sleek, and perfect with all of our cast iron radiators. 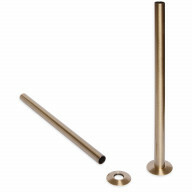 This thermostatic radiator valve is finished in antique brass, with matching shrouds and base plates available separately. Try pairing valves in Antique Brass with radiators painted in pale and delicate Parma Gray, neutral Dark Grey Sparkle or bold Brinjal.